Writing in Kindergarten: Let’s Get Ready! Provider Meeting August 18, 2016 – Writing is much more than marks on a page. To best capture their ideas, kids must be given support and instruction along the way. 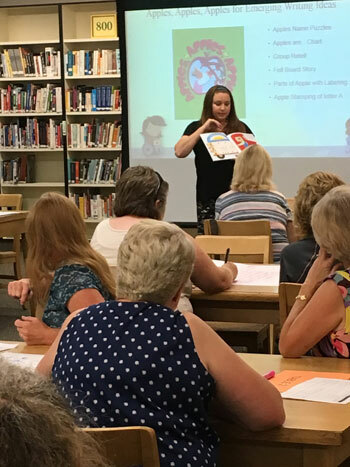 A team of literacy coaches from RSD walked us through some activities kids experience in Kindergarten. For our younger ones, they offered suggestions about activities we can do to build prewriting literacy. 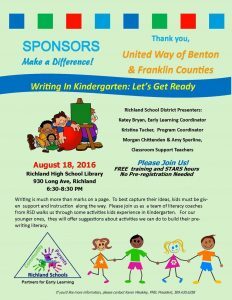 Many thanks to the United Way of Benton & Franklin Counties for sponsoring this presentation.